Our family lawyers are approachable and can be relied on to listen and provide sound, sensible advice on family law matters – divorce, separation and child custody. 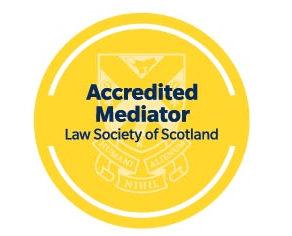 Our experience has been recognised externally by Legal 500, an independent guide for legal services, where we are ranked in respect of family law. Whilst we deal with many divorces and separations each year we know that you will not. We will guide you through every step of the process and to explore all the options to resolve matters. We offer fixed fees for divorce matters (please see below). All of our team have been dealing with cases of this nature for many years. We know how to conduct them. You and your children will be the focus of our advice. If you wish to move to another part of Scotland, the Uk or abroad with your children and their other parent is opposed to that move, we can offer specialist advice on this as we have successfully conducted many of these cases. This is a contract between separating couples. We provide an expert service for these. This is a growing area as people decide to enter into an agreement to protect themselves in the event of their future separation. It is sometimes an uncomfortable discussion to have with your partner so we can offer personal legal advice. As Accredited Specialists in Family Law we can help with other things like Hague Convention matters involving international child abduction, Child Support issues, Children’s referrals, Adoptions and Permanency, and appeals to a higher court. We can deal with your case on a collaborative basis and offer other methods of dispute resolution such as mediation. We do offer some limited legal aid services on a case by case basis. For straightforward undefended divorces we have a fixed fee rate. Our fixed fee rate for an ordinary divorce action is very competitive at £800 plus VAT*. For a simplified divorce the fee is £150 plus VAT*. The key difference between an ordinary divorce and a simplified divorce is that there are children under 16 years of age involved in an ordinary divorce, which automatically demands a more complex legal procedure from the Court. A simplified divorce is where there are no children under 16. We also have to take into consideration that circumstances can and do change and each case comes with its own set of circumstances. With that in mind, if your case started as a straightforward divorce but then complications arose, we would look to talk to you about additional fees on top of the fixed fee rate. At your initial meeting we would be in a position to advise you of what work would need to be undertaken for you and offer flexible terms for anything over and above the fixed fee work. We would advise you to have drawn up a Minute of Agreement (or separation agreement), which we can also assist with, which, if necessary, sets out the agreement you have reached about all assets, property and arrangements for your children before we look at starting divorce proceedings. *Please note that any outlays (such as those fees charged by the Scottish Courts) are outwith our fixed fees and will be invoiced in addition. Thank you so much for your patience, help & advice. This experience has restored my faith in the judical system.